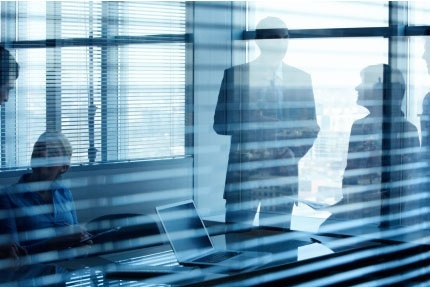 As various countries develop regulations to encourage the reporting of corporate misconduct, HR professionals stand at a crossroads between the companies they serve and the employees they protect. On a good day, this tension is creative; HR professionals foster greater company loyalty and help companies invest in their best asset, their people. Navigating this tricky terrain, particularly in light of recent developments in the US and the UK, requires further education and a great deal of vigilance. In 2010, in response to a series of scandals, the US Congress enacted the Dodd-Frank Wall Street Reform and Consumer Protection Act. Under Dodd-Frank, the Securities and Exchange Commission (SEC) established a whistleblower programme, in which I played a leadership role. While there are various eligibility requirements and exclusions, on the most basic level, the programme recognizes that law enforcement needs the public's help to do a better job of investigating, punishing and deterring misconduct. The programme provides significant financial incentives (10-30 percent of the monetary sanctions collected) to whistleblowers that provide original information about possible violations of the federal securities laws. Last year, the SEC secured almost $3 billion in sanctions and there were several cases in which sanctions exceeded $100 million. The new anti-retaliation protections are also robust, protecting qualified whistleblowers for up to 10 years, regardless of whether their reports are ultimately verified, if they were made in good faith. Even more important, whistleblowers may remain anonymous up until the point in which they wish to receive their whistleblower award-if they are represented by counsel. The broad reach of these regulatory developments creates serious implications for businesses in the UK. The reported misconduct may occur anywhere in the world. Any violation of the US federal securities laws qualifies. International organizations (public or private) and individuals that do business or have personal contacts with the US can be subject to this jurisdiction. A whistleblower may be any individual or group of individuals, regardless of citizenship, that provides information not known to the SEC or solely derived from public sources. For example, an HR professional that learns about misconduct by a new employee's previous employer could be eligible for a significant reward if they report it. Already the SEC has disclosed a significant increase in high-quality tips and, in my law practice, I am seeing a great deal of activity, including numerous inquiries from international whistleblowers. In the coming years, many of the SEC's most significant cases will involve whistleblowers. Recent high-profile developments in the UK confirm the trend is crossing the pond. In October, the Serious Fraud Office launched, "SFO Confidential," a hotline for insiders to report fraud and corruption. This represents a marked shift in position because the FSA has historically discouraged external reporting and does not guarantee confidentiality. Furthermore, in late October, in connection with a landmark case brought by three nurses against an NHS trust in Manchester, UK authorities are now reviewing a loophole, identified by the Court, in the UK's Public Interest Disclosure Act which protects whistleblowers from retaliation by their employer but not their work colleagues. Now more than ever, HR professionals everywhere must leverage their important role in fostering a culture of integrity within their organizations. Employees should be encouraged to report internally, protected from retaliation when they do, and assured that these reports will be appropriately addressed. Anything less will result in unnecessary whistleblower submissions and reputational harm to their organizations. Whether whistleblowers come forward under Dodd-Frank or report misconduct to the SFO Confidential hotline, HR professionals must play a new leadership role in protecting investors, consumers and the public at large.